PLEASE PERUSE LAST YEAR'S AFFILIATES BELOW! 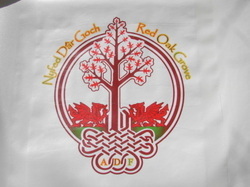 South Jersey Pagan Pride, Inc.
Garden State Pagan Alliance, Inc.
Red Oak Grove is a chartered chapter of "Ár nDraíocht Féin: A Druid Fellowship." ADF is the largest international community devoted to the traditions of Neopagan Druidry, one of the fastest growing religions in North America. As the Delaware Valley's official Druid chapter, serious about worshiping the Celtic Gods in a modern context, we are proud to host public Druid Rituals for each of the eight High Days throughout the year and we’ve been doing so, without fail, for some fifteen years! Red Oak Grove welcomes all Pagans from every tradition and path to our enjoyable, family-friendly events. Wonderful Wiccans, Dancing Druids, Happy Heathens and other beautiful, Earth-centered, spiritual folk, join with us regularly in the gorgeous pine and oak forests of southern New Jersey.